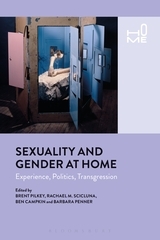 Professor Justin Hunt’s latest essay has just been published by Bloomsbury in Sexuality and Gender at Home Experience, Politics, Transgression – link to book. Congratulations to Justin! https://www.theguardian.com/politics/2017/apr/18/theresa-may-uk-general-election-8-june Big news here today, as Theresa May has called a UK general election. Be sure to follow the UK news on June 8, when it will be held.